1 indirect route | This Blog Rules | Why go elsewhere? We see nothing wrong with this awesome trick. Almost a year ago, we published a list of the ten worst parent fails from MyBadParent.com. In retrospect, how can we claim to say which parenting fails are the worst, when there are so many to choose from? 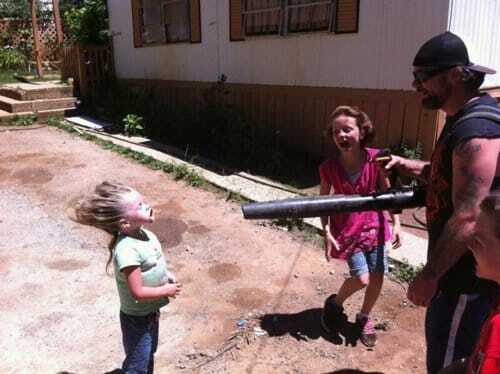 Why play favorites with the parents who store their toddler in a glorified window planter on one of the higher floors of a high-rise apartment building, when there are so many qualified parents who can play Leaf Blower G-Force Face with the best of them?